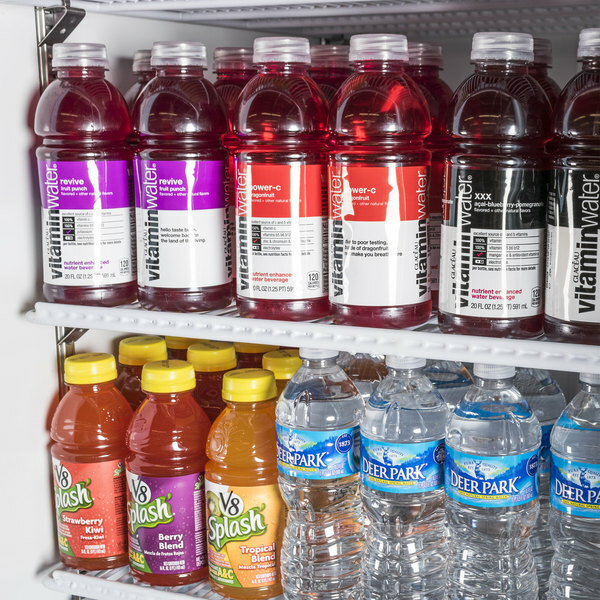 Increase your sales of "grab and go" items like bottled tea and soda, or pre-packaged sandwiches and salads with this Avantco GDS-47-HC 53" black merchandising refrigerator. 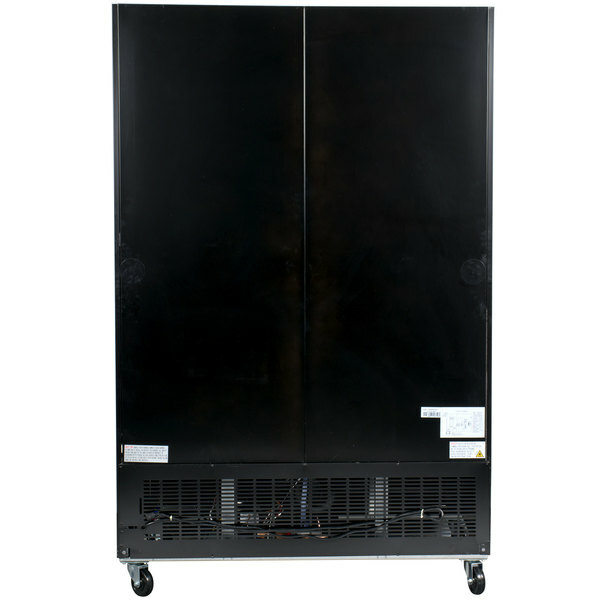 Perfect for convenience stores, groceries, cafes, and other operations, this merchandiser refrigerator is designed to display! With interior LED lighting, sturdy shelves for organization, and anti-fogging glass doors, the unit presents your products without detracting from them, encouraging customers to check out the food or beverages you're offering. Plus, it's simple to operate with its easy-to-access controls. 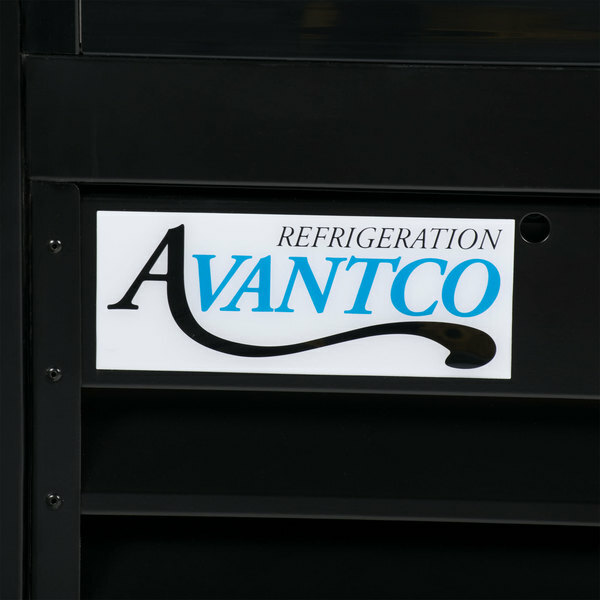 Its reliance on an eco-friendly refrigerant even makes the unit an environmentally responsible choice, allowing you to do your part to help preserve the environment for future generations. "Perfect size to hold drinks, food, and more. It comes with 8 shelves with plenty of space for your stock. Enjoyed the ease of opening the doors, we use this for a smoothie bar so its automatic closing is key!" 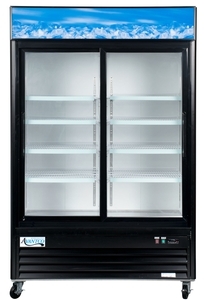 Boasting anti-fogging glass sliding doors, this unit ensures that customers always have a clear view of your products. The (8) epoxy-coated steel shelves inside help organize and display the beverages, salads, or other cold dishes. Plus, since the shelves are adjustable, you can be sure that they'll accommodate changing merchandise and menus. Interior LED lighting on the right side also works to illuminate and further merchandise your products. Designed with sharp looks and usability in mind, this unit is the perfect display for your products with its sleek white finish and a lighted top graphics area. And, since the housing is made from black coated steel, you can be sure that it will provide superior durability. Plus, for optimal temperature retention and structural rigidity, the entire cabinet is foamed-in place using polyurethane insulation. Designed to maintain temperatures from 33-40 degrees Fahrenheit, this refrigerator boasts a bottom-mounted 1/4 hp compressor that uses eco-friendly R290 refrigerant. This specialized refrigerant has an ozone depletion potential (ODP) of 0 and a global warming potential (GWP) of 3, making it an environmentally-responsible choice for your business. This refrigerator includes automatic defrosting and a digital temperature control. These features ensure that operation is as easy as possible. Plus, they controls are mounted to the bottom front of the unit, meaning that they're always easily accessible for adjusting. The unit requires a 115V electrical connection for operation. 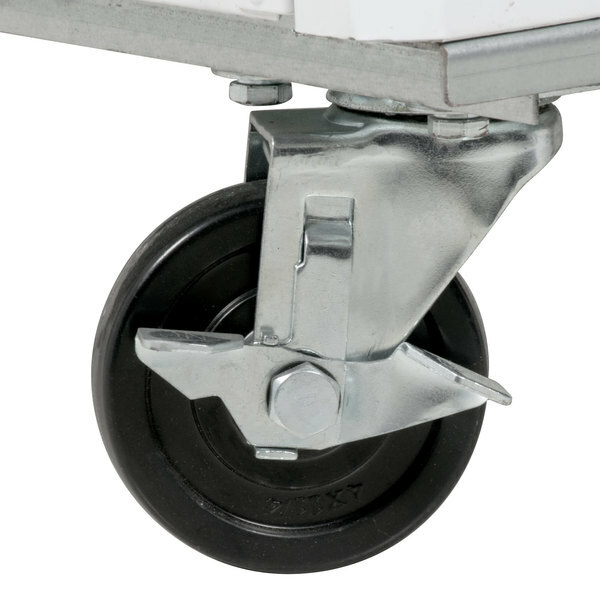 A set of casters provides the unit with convenient mobility. When it comes time for cleaning or maintenance, simply roll the unit away from the wall! Requiring minimal front clearance, these sliding doors are perfect for narrow aisles and locations that are tight on space. The sliding design allows for easy access without needing space for doors to swing outward. What if my Avantco cooler doesn’t seem to be getting cold enough throughout the cabinet? Make sure that you are loading it properly, and not overloading it. 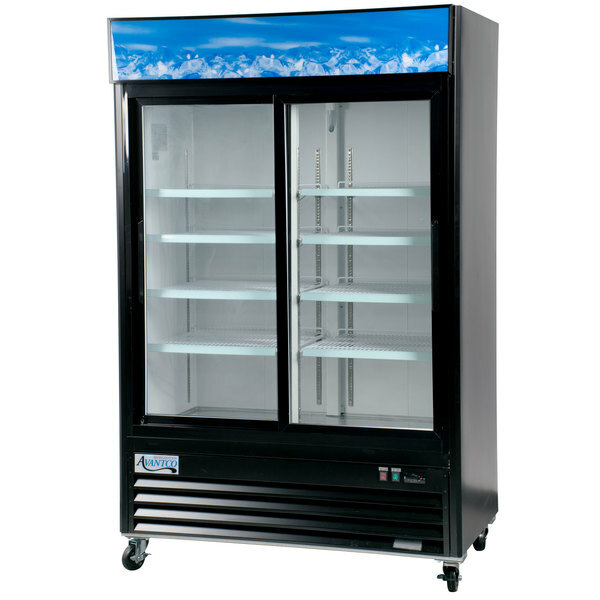 This unit is designed for cans, bottles, and similar items that naturally enable good airflow within the cabinet. 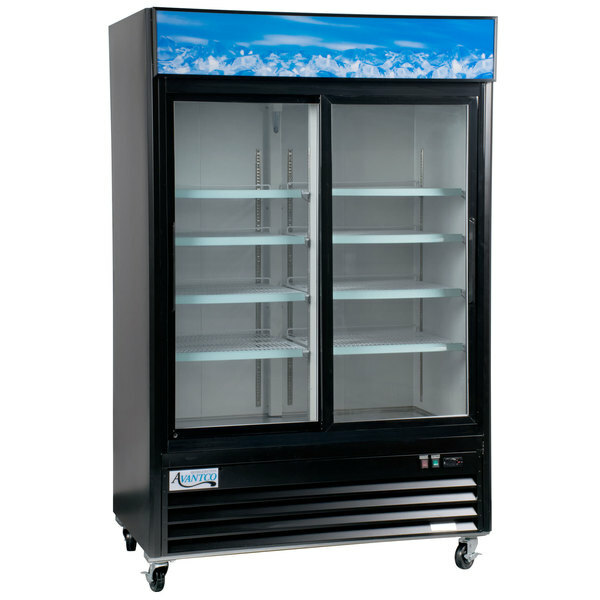 Overloading the cooler with cases and boxes will interrupt the airflow and negatively impact the unit’s performance. Are there any temperature specifications to keep in mind when installing this glass door unit? This unit has a maximum ambient temperature rating of 90 degrees Fahrenheit. 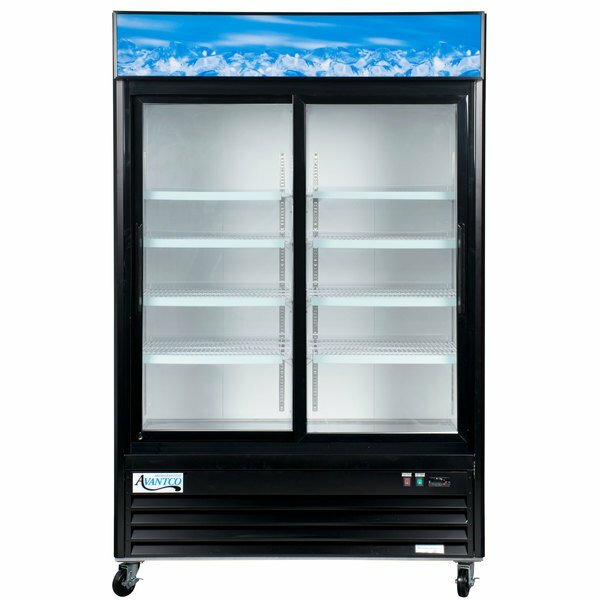 However, high humidity environments may cause excessive condensation and ice accumulation in the unit and on its doors. My Avantco cooler’s compressor doesn’t kick on until 47 degrees, what should I do? Before contacting Avantco for warranty service, please try resetting the temperature differential using these instructions. Changing the lightbulb on your Avantco merchandiser is easier than ever thanks to this helpful tutorial! Whether you have LED or fluorescent lighting, this video shows you exactly how to change the bulb. This video gives you step-by-step instructions regarding how to properly change the door gasket on your GDC or GDS series merchandiser. The gasket is a crucial part of any refrigeration equipment, because it keeps cold air inside the cabinet. The lighting in any glass door merchandiser is vital to ensure your products look their best. 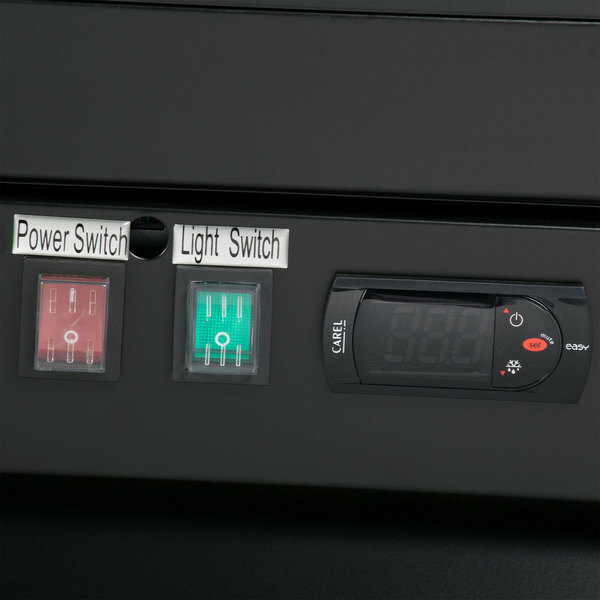 Today we'll show you how to properly change the lighting on an Avantco GDC or GDS series merchandiser. Before doing anything else, unplug the unit. GDC or GDS units purchased in 2015 or before use bi-pin T8 fluorescent bulbs. Units purchased in 2016 and after have LED lighting. This is 20", 24", 40", or 48" long LED strip, depending on the model. We will show you how to change both types in this video. For fluorescent units, pull the top socket out horizontally from the light fixture. Pull the bottom socket out the same way, holding it firmly to keep the bulb from sliding out. Place the bulb on a level surface and remove the sockets from each end. Remove the bulb from the plastic sleeve. Place the new bulb into the sleeve and replace the sockets. Make sure the prongs in the bulb are secure in the sockets. Place the new bulb into the cabinet, starting with the bottom socket. Once again, be sure to support the bottom socket while installing to keep the bulb from sliding out. Inspect the new bulb to be sure it is secure, and turn the unit back on to ensure the light operates properly. For LED units, begin by unscrewing the collar and unplugging the light strip. Using a flat head screwdriver or other tool, apply pressure to the brackets, gently leveraging the light strips until it snaps out. Once the old light strip is free, secure the new light strip into the mounting brackets. Plug the new bulb into the socket at the top of the unit and secure it using the collar. Inspect the new bulb to be sure it is secure, and turn the unit back on to ensure the light operates properly. The gasket is a vital part of any refrigeration equipment, locking cold air inside the cabinet. If the gasket is worn out or torn, your refrigerator or freezer is letting that cold air escape into the kitchen, and using more energy to compensate. Today we'll properly show you how to change a gasket on an Avantco GDC or GDS series merchandiser. Remove the old gasket starting at a corner, and pulling it out of the recessed channel one side at a time. insert a new gasket. Start at a corner, and snap the dart connector into the recessed channel, working your way around the perimeter of the door. 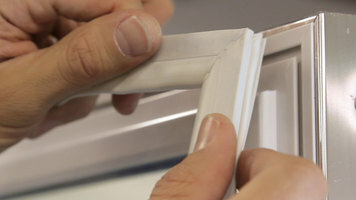 Be sure the gasket has a snug fit and closes properly against the cabinet. I am happy with this product. Arrived quickly (2 business days). Clean, bright with LED lighting. Easily adjustable shelves. Arrives on pallet, WHICH IS BOLTED to unit. Unbolt first. 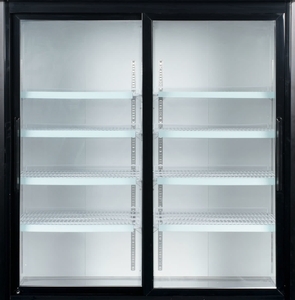 This is a great fridge and the LED lighting makes it easy to check inventory in the evenings. The shelves are also easily adjustable and there’s a drain at the bottom that makes it easy to clean. Very happy with this fridge! It is able to hold all of my drinks and has a nice LED light that keeps everything bright. 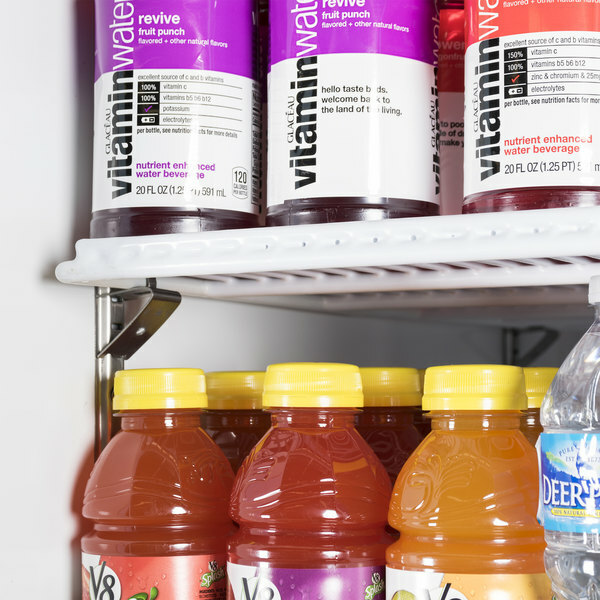 Wonderful fridge to have! We just bought this fridge and it works great. 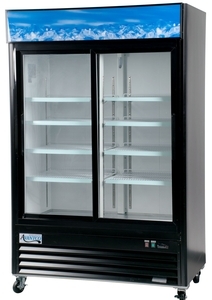 It is way better priced than competing fridges and does the same job. Looks extremely slick. Extremely resistant product. This refrigerator innovated adding led lights to the unit. The wheels are a plus when we think on cleaning the area around. We absolutely love it. For the money - it's a steal. We have been using our several months and it is high quality. Customers always mention how nice it is. Perfect size to hold drinks, food, and more. It comes with 8 shelves with plenty of space for your stock. Enjoyed the ease of opening the doors, we use this for a smoothie bar so its automatic closing is key!